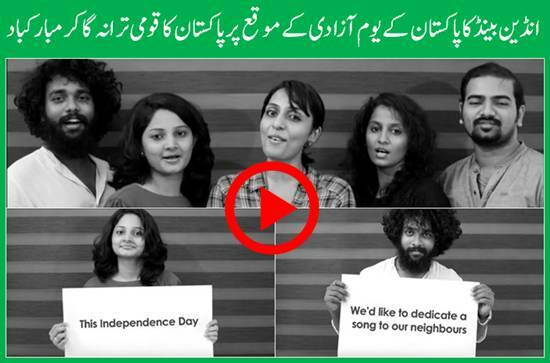 An Indian singing group has sung Pakistan's National Anthem as Independence Day Gift for Pakistan. At the beginning of the video, the group members are seen holding placards that they want to dedicate the song to Pakistan; "A song about faith, pride and grandeur of power and progress and perfection." They sang Pakistani national anthem without the help of any musical instrument.